2014 starts off with you thinking about what you want and how you will make your mark on the year! Sounds like a new year’s eve wish doesn’t it? Well you have some pretty compelling planetary transits around for you from day one. There is a new moon in an area of your chart that will have you reaching for the stars in how you want to remember this year and how it goes for you. On top of that Pluto and Mercury are conjunct the new moon and where Pluto is change happens… whether you like it or not. Take time to ponder where you want to be this time next year as this is the time to lay down your game plan, take aim and shoot for the stars in what you want to happen next. Mars will also be squaring the new moon and Pluto on 1st January and for this reason you need to be aware of any setbacks around you and take action to get around them with diplomacy. Mars is also in your relationship area this month and this naturally may be causing you to go in with all guns blazing with putting your point across to your partner. All is fair in love and war but remember that you may need your partner close by you and on your side with the other grand plans you have going on. You seem to have an unending source of energy this month where work is concerned. If there is anything you have been putting off and needing to get done then this is the month to do it in as Mars transits your work area and gives you perhaps more than a push and a prod to tackle those things you really need to finish… or in some cases start! With the Sun, Mercury, Venus, Pluto all in an area of your chart that is shouting to you to take some time off, have some fun, be adventurous you would hardly be blamed if you just wanted to throw everything in and take off somewhere exciting. The new moon on 1st January will also be tugging away at your adventurous spirit and it is a good time to make plans then to take away any of the boredom that you may be feeling. Further education or a short course would also work well for you. The second half of the month sees both the Sun and Mercury in an area of your chart that has you thinking of work plans and how to put them into action. It sounds as if you need to grab the fun at the beginning of this month with both hands and go with it before you settle back into more staid and predicable patterns again. If there was ever a time you wanted to delve deeply into something and get to the bottom of it then this month is the month to do so. Specifically the first half of the month. You may wish to be a bit cautious with your approach and a bit careful with what you plan to do with the information but you’ll find yourself with a head start in uncovering some truths. After the 12th when Mercury moves into a lighter and brighter area of your chart and also trines your sun sign you will not only be enjoying the full benefits this brings but also the benefits of Mars. Mars can be a bit of a troublesome planet when it is transiting but this month it will be trining your sign along with Mercury. All planets will be in Air signs and that is a double whammy for you. You have hit the jackpot. Lots of thoughts going through you mind… lots of energy to act on these thoughts and many opportunities to throw these thoughts around with others. What could be more Gemini than that! This is a big month for your love life! Starting right off from the 1st January you have a new moon in your relationship area which means the Sun and Moon are both in alignment and forcing you to take stock of what you want in a relationship and what you don’t want and paving the way for something new to come into your life whether this be a change in your current relationship or a new person who enters your life. On top of this Mercury, Venus and Pluto are all lined up in your relationship area specifically on 1st January! Does it get any better than that? You’ll certainly be faced with some new thoughts and possibly some challenges. There is a spanner in the works as Mars and Uranus both square all that is going on in your relationship area and Jupiter is in opposition. All of those 3 planets are pretty big within themselves. Mars planet of assertion, Uranus planet of sudden change and Jupiter planet of luck and sometimes the proverbial foot in mouth syndrome. Do not let any of this hold you back you have more than enough going on for you on the 1st January to make your own mind up on what you want and go for it! Try to make sure you are not overexerting all your energy into work this month especially at the beginning of the year. The signs are there that you will want to and you may have a lot of mental energy to work off however, you need to start planning for the remainder of the month which sees the Sun (on 21st January) and Mercury (on 12th January) entering your relationship area. The Sun is the ruler of Leo so you should feel right at home and be more than willing to relax and be adored, as a Leo should. Mercury will help smooth over any difficulties you have been having with a loved one and if you have any conversations you are wishing open up my suggestion is try around the 17th, 18th, 19th January when Mercury forms a great aspect to Mars and the moon is also in your own sign. The 30th January sees a new moon in your relationship area and this is what you need to be aiming for… setting in motion what you want in your love life and putting the pieces altogether so you have everything in place by the end of the month. Grab 2014 with both hands from the start of the month and run with it! You have spectacular planets in your area of playfulness and romance that should see you seeing in the new year with a smile on your face! On the 5th and 6th January the moon is also in your relationship area giving you and extra reason to plan for some “you” time just now and keep your mind off work. There’ll be plenty of the time later in the month for that as Mercury on the 12th January and the Sun on the 21st January both move into your work area and give you a chance to plan for how you’d like your work life to be heading. Mars is in your area of security all month and it may be a good time to sit down and go over your finances… not such a good time to act on any whims you may have relating to financial matters but a good time to just keep an eye out for something that could come back on you if you do not balance your books properly. You may feel a bit like the “meat between the sandwich” this month as the Sun, Mercury and Venus oppose Jupiter and all form a square to your sign. This means that it may not be all smooth sailing for you as the month begins but give January a bit of time to move along and planets change sign and your life becomes smoother. You have Mars in your sign this month… God of war… and standing for all things which are totally not in a Libran’s nature at all. Mars will perk you up and may have you wanting to rush in and do a lot of things at once just be careful it doesn’t cause you to rush in without thinking so that you do end up on the negative side of a situation that is out of your control… oh… did I mention Mars doesn’t like control too much as it is usually rushing in so hard to break apart that not a lot of thinking is done before action is taken. Nevertheless, this is a month of action for you and towards the end of the month when the Sun and Mercury are both in your area of romance and creativity you may be able to find your balance again and hone it towards more pleasant pursuits. You start the year off with a few things on your mind and most like a few more on your lips. Words and thoughts are coming easily to you now and right from the start of the month you may want to clear the decks by letting someone know what you are thinking, feeling and meaning to do about things. The Sun, Mercury and Venus are all in your area of communication added to this on 1st January there is a new moon also in this area and all of this points to you clearing your mind, focussing your thoughts and with any luck leaving something that has been holding you back mentally from the past. Mars may be dragging you back a bit as you strive to get to the bottom of something and come up empty handed and also frustrated but don’t let that hold you back. You are onto something with what you are aiming for and change is just around the corner. The moon in your relationship area on 10th and 11th January is a good time to take note of what you are thinking and act on it. Mars is in your area of friends and friendships so a great start to the year with lots of people to keep you company and busy. Infact, in you may find your social life takes off so quickly that you don’t have a lot of time for yourself. 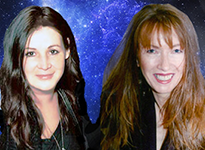 The 12th, 13th and 14th finds the moon in your relationship sector so great for your love life. It also is the time that Mercury moves into your area of communication so a very good time to have any conversations you have been putting off as you will be in the mood for talking. On a more serious note, the Sun, Mercury and Venus are in an area of your chart that is screaming out to you to be more stable and secure. To actually make plans, possibly financially, and stick to them. This is also highlighted on the 1st January when the new moon triggers the other planets in this area of your chart off and may have you feeling contemplative on making a New Years resolution that includes… make 2014 a financially stable year. 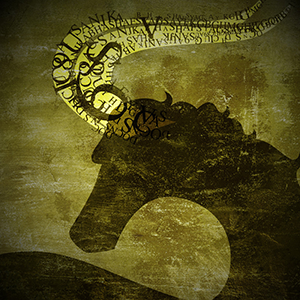 Welcome to 2014 Capricorn! What a great line up of planets you have to start the year off with! From day one you will be feeling as if you need to really reorganize your life… starting with your love life. The new moon in your sign on the 1st totally reinforces the effects of Venus which is now retrograde in your sign. This will have you digging deep to ask yourself what you want in your love life, looking to the past for answers and possibly a relationship resurfaces for you and you are thrown back into it. As Mars is also squaring the alignment of planets in your sign for the first week of the month you may have to navigate around some tense moments in order to find what you are wishing to accomplish. Do not let that hold you back you have such a lot going on for you that you need to be prepared and alert to what YOU want… with the emphasis on you! January starts off possibly a bit rocky for you but things become clearer as Mercury moves into your sign after the 12th January. There’s a lot to look forward to and you may find yourself making connections with people who you felt you have known before where the intensity of the relationship is so strong you are not sure what to do. Wait until after the 12th January when everything becomes clearer or even the 21st January when the Sun enters your own sign. Mars is forming a great aspect to your sign this month and should be able to give you the energy you need to propel you forward to reach your goals. The moon in your relationship area on the 17th and 18th will also help bring out into the open something you need to know in order for you to make decisions and last but not least the trine between Jupiter and Saturn all month will give you a lot to think about when it comes to your work life. If you are thinking of changing anything to do with your work… now is the time to start the ball rolling. Save the second half of this month file under the heading of “things you want to do” and do them! Because the first half of the month seems to be all about getting ahead and work. The Sun, Mercury and Venus are all conspiring to have you seen in a brilliant light by others at work so it won’t hurt to allow yourself to be seen this way and you never know where this may lead you… possibly a promotion. On the other hand if you are wanting to change jobs this may be the time to do so. The Second half of the month seems more focussed on your friends and friendships, going out, having a good time and generally catching up with those you haven’t seen in a while (and also those you have). The moon in your relationship area around the 20th and 21st really seems to resonate with you as both the Sun and Mercury are then in an area of your chart that scream out to you to get in touch with who you are and change anything you don’t want. Also check out our Daily Tarotscopes Beginning January 1st! Can I ask a question that I need opinions on from experts. Is the path of our lives up to us and our choices or is our fate pre ordained? What I mean is, does our lives depend on all our choices and attitudes or is it all written in stone from day one and we have no chance to change our fate? I personally feel that we have a lot of free will and that our “destiny” is largely self-created. Astrology provides insights into the experiences and challenges we face, but how we respond to them is in our own hands. There’s a synchronistic relationship between what’s happening “up there” and what we experience “down here,” but there’s also an entire spectrum of potential manifestations — all within the parameters of any specific astrological influence. We can either align ourselves with those influences or we can fight against them, but there’s no getting around them. They’re going to manifest either way. But how we choose to participate — and how willing we are to work toward satisfying those energies consciously and purposefully — makes a huge difference in how they ultimately manifest. Also by looking at the personalised birth chart, which is unique to each of us based on your date, time and place of birth, you can also apply the transits the planets are making at any given date to allow you to plan for what is coming into your life. This gives you a head start in deciding what you will do versus feeling as if you have no power in your life.